You are a business leader. Running one is a full time job. In small businesses, in particular, you are expected to be an expert in every discipline it takes to make that business truly successful: accounting, human resources, administration, sales, marketing, and so on. What most manage to do is focus on the most immediate need first. For example, at close of month you do the books. You can’t do this with marketing or sales. 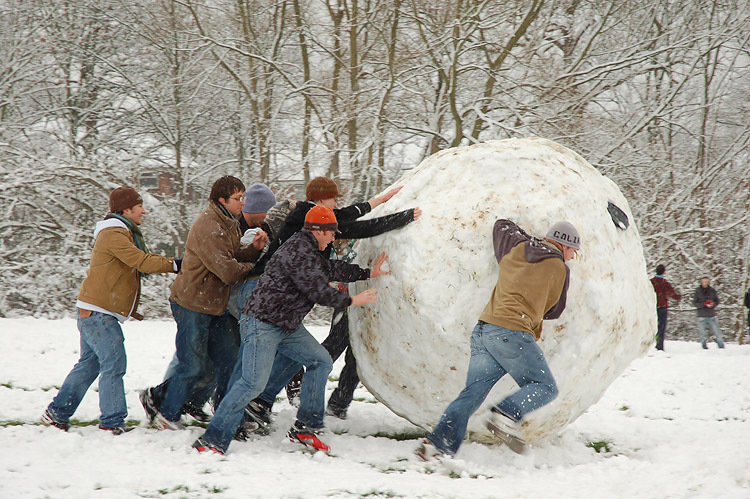 In my twenty plus years in marketing, one thing is clear—marketing that moves the needle is accomplished through a “snowball effect”—meaning you create awareness in your ideal community… next, you roll them forward engaging them deeper… then you reach more and do it all again. All the while growing and strengthening your connections. If you stop your hard work it immediately begins to melt, but if you keep pushing forward the center solidifies into a healthy client base. Think as well about the compounding value of maintaining your tie into that very expanding group from which your revenues are generated. This alone breeds long-standing loyalty that expands into fanatics who spread their contentment far and wide to the golden land of referrals. An ideal place to be indeed. Let me leave you with this one critical question to ponder: Are you marketing efforts today running consistently; dripping out from a faucet to create a deep ocean of awareness? If your answer is no or I don’t know, take into account this powerful statement from the legendary marketing extraordinaire Chet Holmes, “The health of your business is not so different from that of your body. An ounce of prevention is worth a pound of cure.” Marketing is your pound of cure – so feed it and keep it strong.